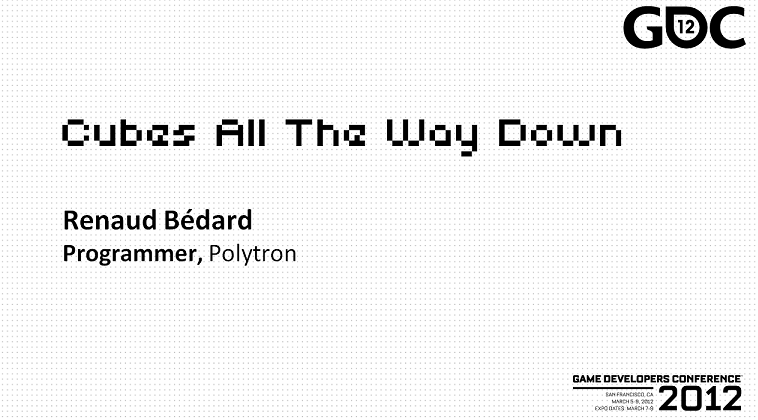 I re-did my slides and my talk at the Independent Games Summit of the GDC 2012. It grew from a measly 42 slides to a healthy 62, so there is more content, many more videos, and incorporates some of the feedback I had about the MIGS version. Update : it’s on the GDC Vault, (no membership required!) if you want to see me give the presentation.